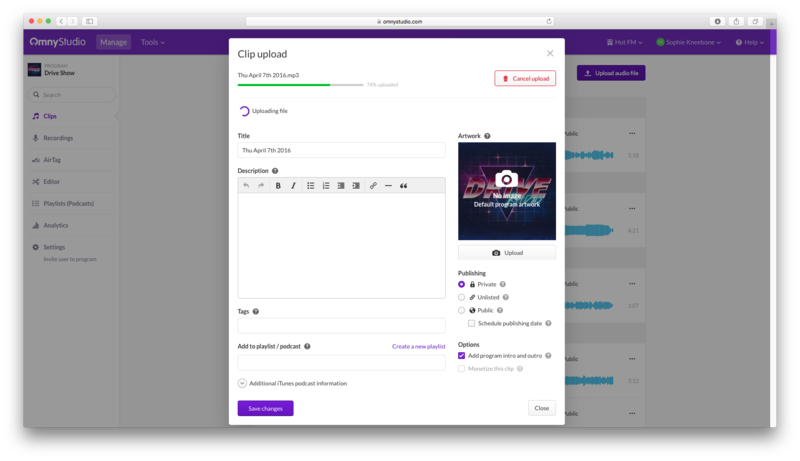 Audio files can be uploaded to Omny Studio from your computer to create clips. Supported file formats include MP3, AAC, WAV and uncompressed AIFF. The maximum file size per file is 200MB. 1. 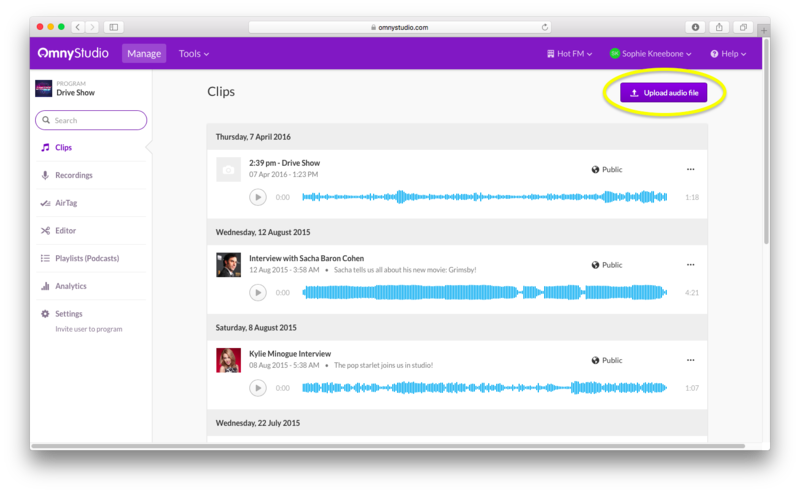 Head to the "Clips" section and click on "Upload audio file". Note: You can also drag and drop one or multiple audio files directly onto the Clips screen to begin an upload. 2. Select your file to be uploaded. You can edit the clip title, description and artwork while it is uploading. Click "Save Changes" when you're done. Once you're back in Omny Studio, you can click on "Details" for any clip to see more clip editing and publishing options.